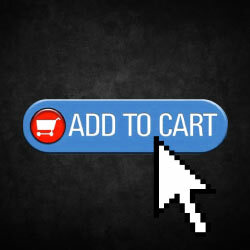 • Online sales were not on target with low sales per customer, low conversion and few returning visitors. • The web content was not sufficiently consumer centric, nor was product merchandised properly. • The website itself contained key usability, layout and navigational issues. • Panasonic did not fully understand the online needs, wants and behaviours of consumer electronic buyers. • Used segmentation research to lead persona and scenario development. • Led workshops educating the leadership teams on emerging web trends and online consumer behaviours. • Identified consumer product bundles across product divisions that would appeal to key target online audiences. • Planned and implemented holiday promotional bundles including demand forecasting, pricing, creative brief development, creative concepts reviews, strategic marketing partnership development and negotiations and online implementation. YouTube, Blogging, Podcasts… Where do they fit in your Company’s Marketing Mix? The proliferation of new media can sometimes be confusing for the marketer to determine how and what to leverage – if at all. You already have to divide your marketing budget between print, TV, radio or web and now there are a number of new venues. How do you decide? Ultimately it is all about talking to your customers when, where and how they want – this will make them the most receptive to your message. As with all advertising, but specifically new media, it is critical that you understand the culture of the medium before you attempt to leverage it for marketing purposes. A prime example is of a corporation wanting to develop a corporate blog, in order to appear “tapped in” and appeal to a “cooler” demographic, but not understanding the rules. In many cases, strategies such as this can backfire and damage your brand rather than deliver the intended goal. In the Financial Services industry, online advertising is a critical component of a broad marketing campaign. For independent advisors, consultants or brokers, the Internet presents a valuable opportunity to level the playing field and increase your reach at a much lower cost than conventional advertising. Increasing your online presence can also enable you to reach younger target audiences, who, as a group, spend far less time watching television or listening to the radio than their parents’ generation. But online marketing also has challenges of its own. While Canadians spend more time online than any other country in the world, the volume of messaging that is out there means that businesses need to work harder to differentiate themselves from their competitors. What is New Media? In the past, radio, television, cable, satellite and specialty TV were the “new media”. But with emerging technology, New Media now refers to any digital communication through various forms of technology, particularly the Internet, streaming audio and video, interactive multimedia presentations, and computer animation. In the marketing arena, the term encompasses mobile ads, digital displays in public places, viral campaigns, corporate blogs, “Tweets”, “Facebook” ads, and email campaigns. With two-thirds of the total Canadian population online every month, Canadian businesses have responded to consumer passion for the new forms of communication. Last year, 81% of private Canadian firms used high-speed or T1 links to the Internet – impressive growth compared to 2001 when less than one-half of private firms using the Internet had a broadband connection. Financial institutions have successfully implemented the new technologies as recent statistics show. New Media has been integrated into the marketing world for a number of years now with Internet advertising set to harness 7% of total ad spend in Canada for 2006. Online advertising for financial services is a critical component in a broad marketing campaign. With a call to action leading to the Web site, there is no end to the messaging you can provide. With the rise of digital technologies and electronic modes of communication, new media has implemented itself into society in the blink of an eye, or the click of a mouse. The challenge: how do you allocate your marketing dollar?